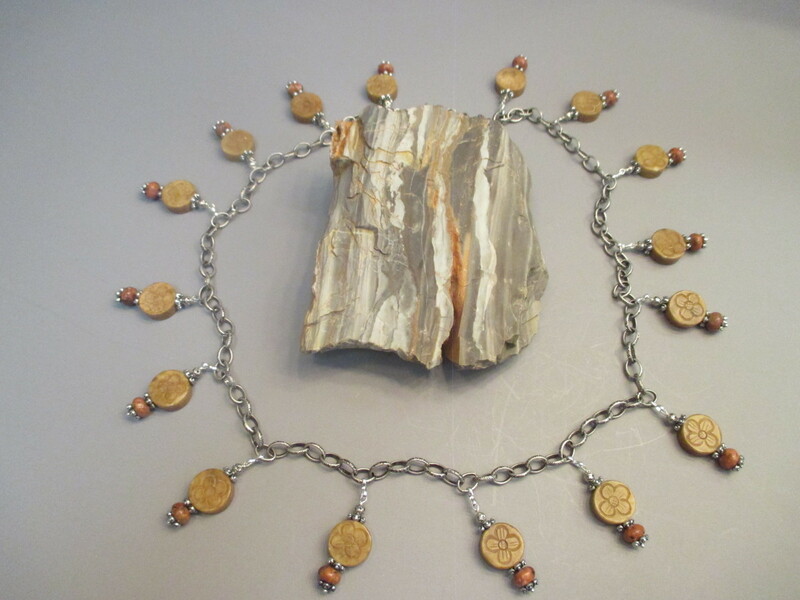 The necklace measures about 33" long. It is antiqued silver tone with some texture. There are 16 bead designs that dangle from the chain. The beads are antiqued jade with a carved flower and red paintbrush jasper.